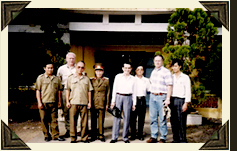 Vietnam Poverty Relief is composed of a team of experts specializing in social and natural disaster relief disciplines. Response teams are composed of naturalized citizens with linguistic capabilities fluent in most Southeast Asian dialects as well as American citizens with specialties in tropical survival skills, mechanical and civil engineering, pipeline construction and rehabilitation for water, gas and sewer. The assembled skills bring immediate and sustained relief to those in need. The response teams are capable of establishing facilities to render immediate survival results by providing the resources to establish a working environment offering the highest possible level of hygiene and nutrition. The need for clean water and nutritious food is obvious and immediate. It is also essential to address the social, economic, religious and demographic needs of the populace in a timely manner. When establishing a charitable outpost in the midst of chaos and confusion resulting from a social, economic or natural disaster, it is essential that team members have the practical and proven skills to address the health care and emotional needs that simulate the native culture. By this we mean that it is important to provide typical food, clothing and shelter resources that provide the comfort and familiarity of the natural expectations of the populace. For example, you would not feed a high protein diet to a populace accustomed to a high carbohydrate diet and you wouldn’t provide hard-walled, air conditioned shelter to people used to living in bamboo/thatched-roofed homes geared to the environment. Team members must have the knowledge, skills and tangible resources necessary to provide short-term survival and long-term socio-economic growth of the affected community in need. In addition, the team must be fully aware of the local resources available as well as the customs of the people being served. In addition to providing initial relief to the community in need, the team must begin, as soon as possible, to organize that community. Get them involved and trained in providing for their own needs utilizing the basic resources provided by the charity (Vietnam Poverty Relief). V.P.R. 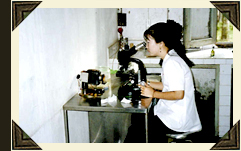 (Vietnam Poverty Relief) has many years experience addressing the needs of the people of SE Asia. We work to quietly dispel fears and desperation coming from poverty, war or natural disasters. Most importantly, we do it with pride and the feeling of community that comes from building on the resources that are innate to the group being served by using the charitable donations of money, services and other resources provided by caring giving people and organizations. An organized effort using imported skills and community resources. Hygienically safe and usable water supply in sufficient quantity and capacity to handle the needs of the people. Skills to organize and educate the community in need to move to the next level of survival and to start a new life that will provide social and economic growth and community stabilization. 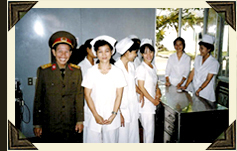 Vietnam Poverty Relief consists of committed professionals with the necessary survival, educational, and engineering skills and the community based communication (linguistic) skills and cultural knowledge to meet specific community based needs. We have the mobilization, organizational and logistic know-how to move resources from the point of contribution or origin to the point of need. We do this in a manner that disseminates resources to maximize their effectiveness.